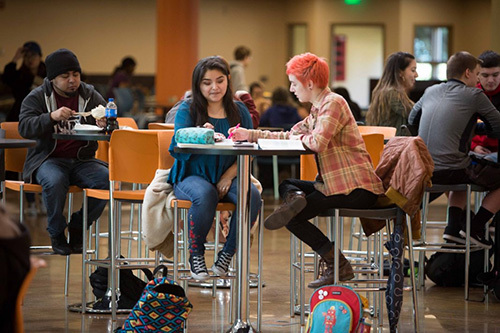 To provide students with connections to real-life professionals, South Puget Sound Community College (SPSCC) has introduced the new e-Mentorship Program. The program is run through the college’s Alumni Association and was created to pair current SPSCC students with individuals working in their desired career path. The goal of the e-Mentorship program is to offer opportunities and new perspectives that students might not otherwise find. This is the first program of its kind at SPSCC and only became open to students at the beginning of Winter Quarter 2019. The program is based on electronic communications, as opposed to in-person meetings. This structure accommodates non-conventional schedules for both students and mentors. There are multiple mentors in health care and allied fields who can’t meet during business hours, but they can communicate via email. Being email based also means that alumni from out of state can now become mentors. To learn more about the e-Mentorship Program and how to participate, visit the South Puget Sound Community College website.